Backcountry electronics might seem like a contradiction. After all, don’t we go to the woods to get away from all that stuff? Still the power and productivity electronics provide us today can be persuasive. In the backcountry, I supplement my navigation with GPS and I use satellite connection for emergency and routine location reporting. I am on my third Garmin GPS. My first one supported many sea kayak outings and was a good fit for on-deck navigation. As it aged and I saw how much better Garmin’s internal antennas had become, I replaced it with a lighter Colorado model, purchased at an attractive closeout price. When it failed with an apparent memory corruption issue, Garmin replaced it on warranty with an upgrade, a refurbished Oregon 400, which I still use. It is a good tool. I like the touch screen. I use the electronic compass, but will check the calibration when precision is needed. I really don’t use the internal maps. The advantage of using Garmin products is that there is a very large library of free, or low priced background maps available for almost anywhere in the world. Check out GPSFileDepot for example. I have used maps downloaded from this site both locally and faraway with good results. The maps are often more detailed and current than ones packaged with a GPS’s or purchased on CD’s. 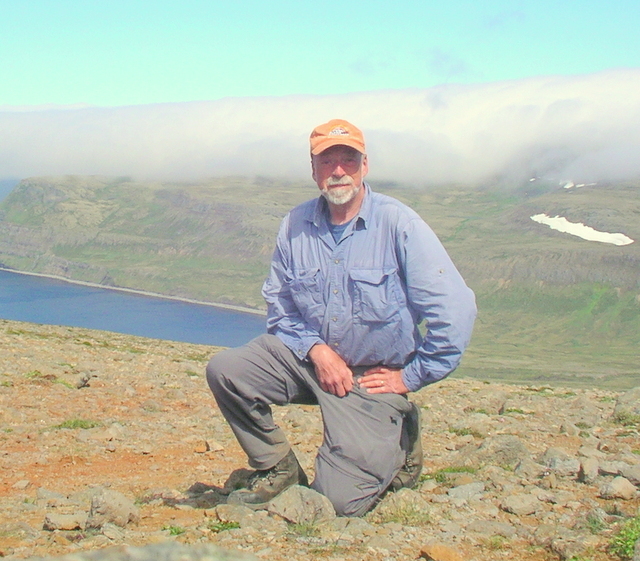 Battery life with rechargeable NiMH cells is pretty good – two trail days unless I hike long hours. On extended trips some extra lithium cells cover the remaining days. I use the GPS to log trail miles and replace dead reckoning. It gives me quick identification of visual landmarks and distances to locations of interest. I can preload waypoints for off trail travel and navigate between them. I can retrace my track or follow someone else’s supplied as a downloaded .gpx file. It’s all pretty cool and powerful. But if the batteries run out or it gets temperamental, there is always a map and compass along. When I started spending time in the woods again a few years ago, I purchased a SPOT Personal Tracker. It let my wife know that I was still alive and where I was. If I was delayed, I could pass that information along as well. In a worst case scenario, I could call in the cavalry. I got good use out if it for daily check ins on multi-day journeys. I could reliably get satellite connection in tree cover, but found at high latitudes (above 60 deg. N.) that a visible southern horizon was needed to reach the equatorial orbit satellites used by the service. Check in worked better mid day on high passes or peaks rather than at the end of the day in valleys. The Personal Tracker, like all SPOT devices, requires an annual subscription to the service. For more money, you can also purchase enhanced services like evacuation insurance and the ability to track your progress on-line. But to make the transmitter work, you must take your smart phone along. In the past I rarely carried my cell phone on the trail. While sometimes peaks and ridge lines get service, the phone really did not seem that useful. Now, with the Connect, I take my smart phone along. It is turned off unless I am actively using it, so battery life is not an issue. I do have to justify the 6.2 oz. that it adds including a padded case. O.K. it’s only about 4 oz. when I take credit for the lighter weight of the Connect, but for those 4 oz. I get a lot. The smart phone is the only camera I carry. (You have been looking at a lot of its pictures.) It actually provides a backup GPS and map function. I have a great wildflower app. The potential exists for many other informational applications as well. But all this needs to be tempered by battery life considerations. Folks that use their smart phones continuously on the trail end up adding backup batteries or a variety of recharging schemes. I also see them going by with ear buds on and I know they weren’t looking for the spruce grouse or woodpecker I just heard nearby. A GPS and a SPOT locator do not play nicely together. The SPOT device needs to be quite a long way away from an active GPS. The SPOT instructions suggest a 5 to 10 ft. separation. My experience is that it needs to be greater. A good practice would be to turn your GPS off during SPOT transmissions. The GPS interaction causes the transmitted SPOT location to shift 10’s to 100’s of feet away from its actual location. Do this test with locations you know to check it out. This entry was posted in Navigation & safety and tagged GPS, smart phone, SPOT. Bookmark the permalink. I’ve been using Backcountry Navigator on a small Android tablet and wonder how you’d compare it to your Garmin. I have no experience with Backcountry Navigator, but I am working on a new post newer GPS options I have tried since the Backcountry Electronics post. 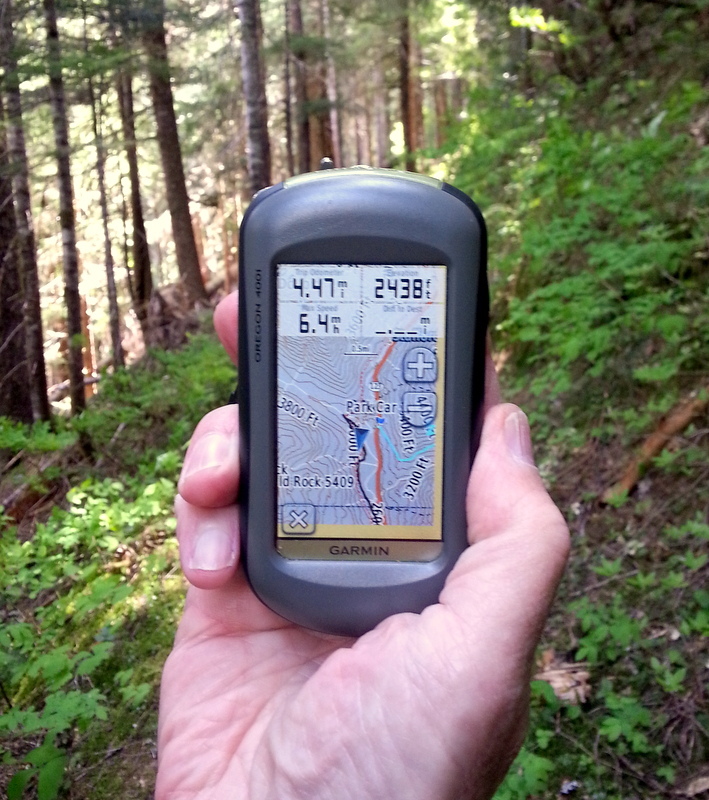 I just published a post on GPS units and smart phone applications. Check it out.